People from McLennan and the surrounding comunities enjoying Bavarian cuisine and Hofbrau beer from Munich, at the McLennan Rec Society’s 2nd annual Oktoberfest. 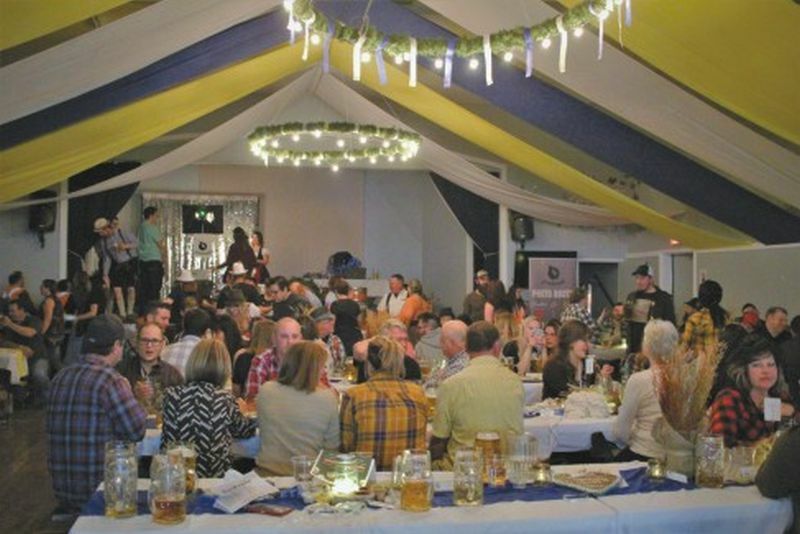 The McLennan Recreation Society’s second annual Oktoberfest fundraising event certainly brought the flavour of old Bavaria to the region. The catered event offered wiener schnitzel, bratwurst, a variety of German side dishes and, of course, kegs of Hofbrau beer imported directly from Munich. The decor at the Elks Hall also contributed to creating the right atmosphere, which included building from scratch beer hall benches to fit the occasion. Going that extra mile is something the organizers mean to continue as plans are also in the works to make tables for next year’s event and gradually progress to creating a bona fide Bavarian Oktoberfest. There are also plans to make it a full weekend event. DJ Tyler Dupuis from Peace River who provided the music at last year’s Oktoberfest, once again kept things lively with a predominant polka flavour at the start of the evening to enhance the Bavarian atmosphere . Looking ahead to next year’s Oktoberfest, the Rec Board and its Oktoberfest Subcommittee have already retained Seppi’s Catering, owned by a Munich born chef, so the food promises to be true Bavarian fare. Kayla Jones, Luke Dubrule, Robert Drouin and Brian Whelen comprise the McLennan Recreation Board’s Oktoberfest Subcommittee. 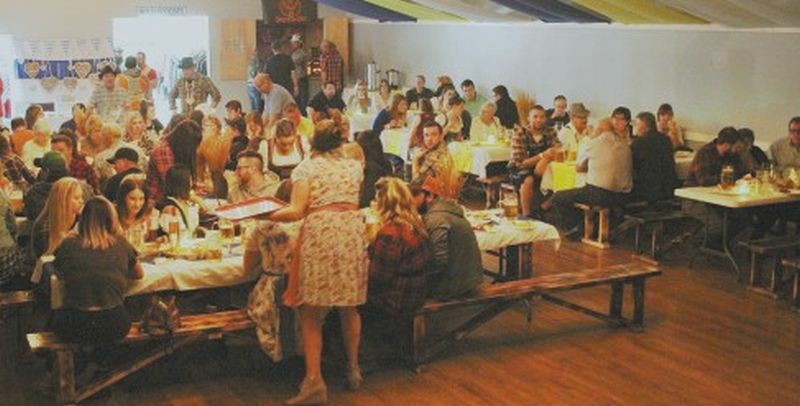 Over forty volunteers contributed to organizing the beer fest, setting up the Elks Hall, serving food and beer and completing the mammoth task of cleaning up after the festivities. 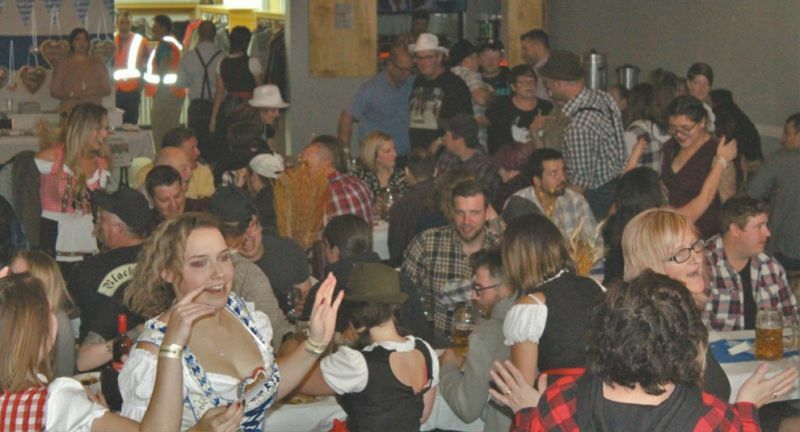 The Town of McLennan supports Oktoberfest as it brings McLennan residents and surrounding community members together. People from Peace River, High Prairie and other communities in the region have traveled to the event and many who attended last year’s festival returned to enjoy it again this year. Approximately 140 people attended the celebration that took place from 5pm to 2am. This year’s Oktoberfest 50/50 draw delivered a $850 payout. McLennan Victory Life Church were retained to do security and run the “Keys Please” shuttle service to get people and their vehicles home safely.